Get your vampire teeth ready for a spooky — but safe — Halloween event this year in Wyckoff! 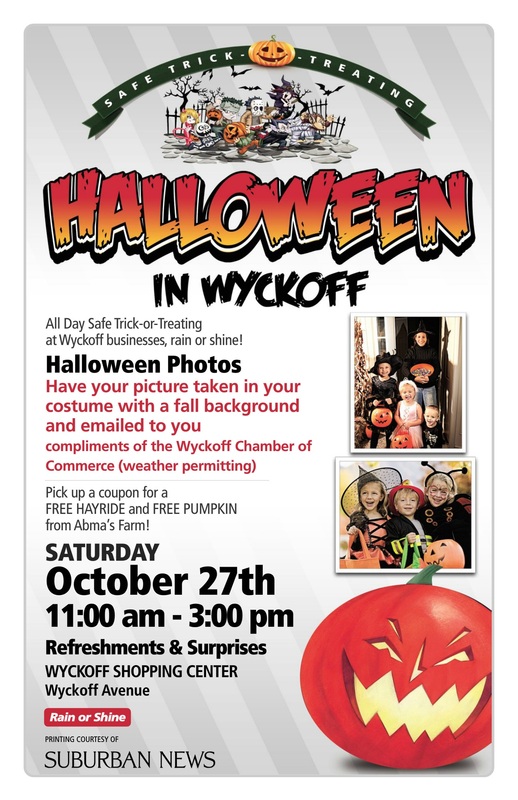 The Wyckoff Chamber of Commerce will hold its annual Safe Trick or Treating Event at Wyckoff businesses on Saturday, Oct. 27, from 11 a.m. to 3 p.m. at the Wyckoff Shopping Center, according to Chamber Business Administrator Barbara Petruccelli. Tons of Toys will also be having its annual Halloween party and costume contest from 11 a.m. to 3 p.m., Petruccelli wrote in a letter to Chamber members. Attendees can expect “free refeshments, lots of special guests and a costume contest where the winner gets a $100 Tons of Toys gift certificate,” she said. Kids will even be able to pick up a coupon for a free pumpkin and hay ride from Abma’s Farm, according to the event flyer.